Come to Open Climb to practice your climbing skills, or try climbing for the very first time! 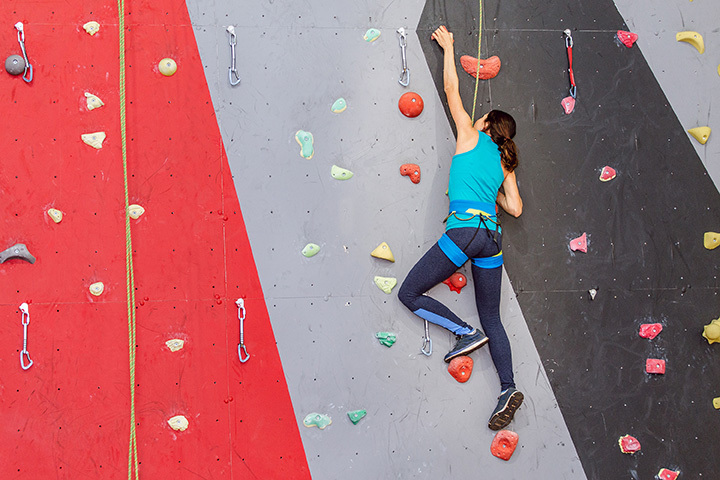 Test your skills on our 22' wall, or practice on our traverse wall. For serious climbers, we offer a training center complete with hang board and campus board. All, ages are welcome, but children under 11 must be accompanied by an adult. Climbers over the age of 11 are eligible to recieve belay certification and may then climb with a partner.